Beautifully updated colonial in the North Dover school district. Custom cabinets, granite countertops and stainless steel appliances in the oversized open kitchen. Open and bright living room and a family room with hardwood floors and slider leading to a professionally landscaped backyard oasis with inground saltwater swimming pool. Finished basement with lots of storage. There are 3 nice sized bedrooms and a large master bedroom with attached newly renovated master bath and walk in closet. 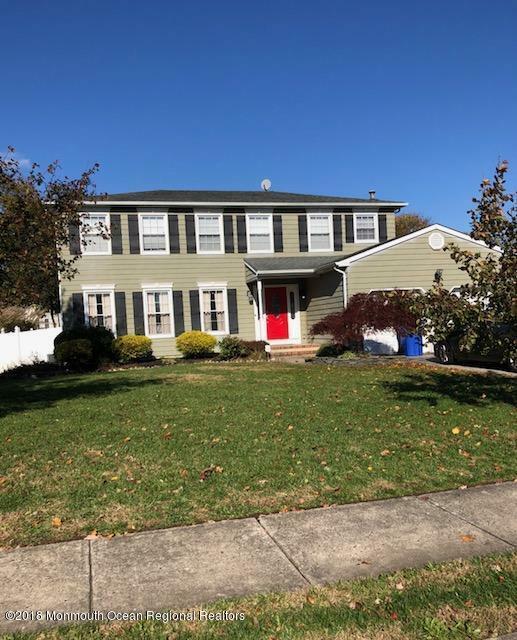 There is also a newly renovated full bath with gorgeous tile work to finish out the upstairs.All this in a private cul-de-sac in short proximity to shopping, dining and GSP. All utilities have been upgraded in the last 5 years. 2 zone Heating and air-conditioning as well.